Payments for Weddings and trials: The client must pay a booking deposit of 25% to secure the date. Payment is by bank transfer or paypal and is deductible from the final price. The final balance is due on the day of the wedding or trial and must be paid in cash before work commences.  Cancellations by Catherine Taylor: In the unlikely event that Catherine Taylor is unable to attend a wedding, she will refund the deposit in full and will try to find a substitute make-up artist. In the unlikely event that Catherine Taylor is unable to attend a bridal trial, she will, at first, attempt to reschedule. If that is not possible, she will recommend an alternative artist and refund the deposit. Catherine Taylor will always do her utmost to attend booked wedding preparations but is not responsible for any consequential loss or damages due to being unable to attend. HOW DOES CATHERINE TAYLOR USE REMARKETING FOR ONLINE ADVERTISING? In our online advertising endeavors, Catherine Taylor and associates may use Google Analytics, Google AdWords Conversion tracker, other Google services, Facebook, and other third party sites which place cookies on a browser across the Catherine Taylor website. This cookie placement helps us increase the website’s general effectiveness for visitors. Cookies are set and read by Google, Facebook and other third party sites. You can opt out of Google tracking at any time by visiting the Google Ad Settings page. You can opt out of Facebook tracking at any time by visiting https://www.facebook.com/ads/website_custom_audiences/ .